Europe can be a laboratory for political invention and progress, but only if we radically change the course it is taking. Looking back to 10 years of experimentation with transnational participation, advocacy, campaigning, research, trainings, and cross-border events, we are now condensing our knowledge of transnational democracy activism together with other civil society actors into a a School of Transnational Activism. WHAT IS THE SCHOOL OF TRANSNATIONAL ACTIVISM? The School of Transnational Activism is both a reflective and action-oriented space, a digital and physical playground gathering citizens and activists across disciplines to learn and explore how to collaborate beyond the nation-state. It takes inspiration from systemic, citizens-led alternatives and movements that promote and enact social justice, democratic participation and economic transformation. The School seeks to support the next generation of activists to embark on an empowering learning journey to act for a progressive and people-centred Europe. The aim of the School is to sustain a community of European citizens committed to build people’s power, based on the values of solidarity and justice beyond the nation-state. Only a cross-border perspective can help to solve the challenges that affect people globally: climate change, economic inequalities and social oppression. Next to offering background knowledge and methodological skill sets, the School will in itself embody the experience what cross-border collaboration in the 21st century means. The generation of activists journeying through the School will learn how to inject disruptive and practice-based ideas in the public debate across Europe and inspire others to join local and transnational initiatives. The School of Transnational Activism is launched in autumn of 2018 and supports and trains a cohort of more than 100 activists in 2019. 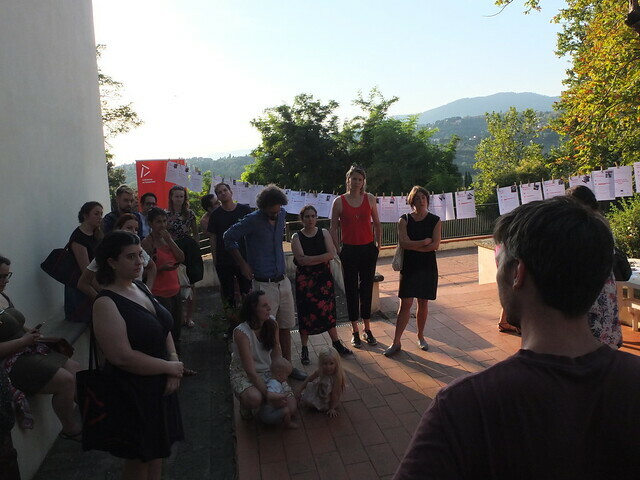 For its first year of existence, the School of Transnational Activism is a nomadic space, that works with partners from across Europe and the disciplines to deliver trainings and encounters gathering both local and international activist sharing real and inspirational practices for political and social change. The School is open to collaborations, inspiration and supporters. If you are leading a training program for activists and would like to collaborate or have connections to great trainers and facilitators please contact Martin at m.pairet@euroalter.com.